On 6th of July, at Apollo 111, we are organizing the event Tackling informal settlements – practices and policies dealing with housing informality, whose aim is to share best practices and to facilitate dialogue and working together for drafting policies and programs on the topic of informal setttlements. Participants will be representatives of national and local public authorities, experts, NGOs, researchers who are working in this area or on other relevant fields. Sasha Tsenkova, professor at University of Calgary (Canada), will also attend the event. Sasha Tshenkova published numerous studies on urban planning for the World Bank, Council of Europe and UN. 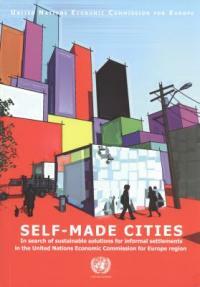 She has published more than 25 books, including “SELF-MADE CITIES. In Search of Sustainable Solutions for Informal Settlements in the United Nations Economic Commission for Europe Region” (2009), one of the most important academic paper on informal settlements.